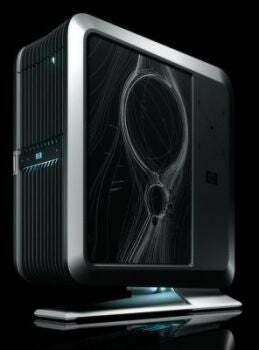 HP Voodoo Blackbird case, water-cooled version. I thought it was an interesting item, so I picked it up at a local thrift store. What I didn’t realize was that this is some sort of cult collectible item. Maybe I won’t throw a system into this box after all. There is one on eBay for a BIN price of $899 and a starting bid of $599. Just for a case? It’s nice, but really? I guess my 50 cents was well spent.